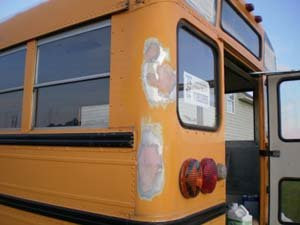 The first thing I did today was sand the Bondo on both the drivers and passengers side. It turned out really good! After that I wiped off the dust with a rag and some thinner. It was ready for primmer. 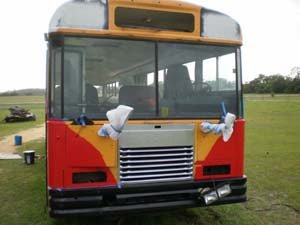 Here is the drivers and passengers side primed. 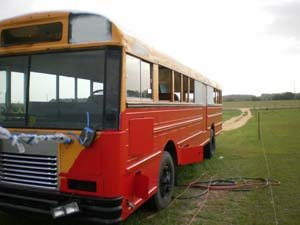 Next was the daunting task of prepping the drivers side, the front and the rear of the bus for paint. Scraping all "Emergency Exit" stickers off the side. Removing as much of the sticker residue left over with a rag soaked with thinner and a scraper. Sanding what ever residue was left over. Removing all exterior lighting (brake lights, blinkers etc. 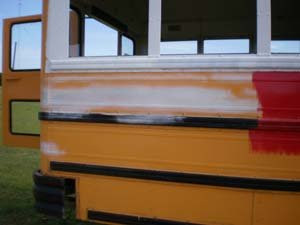 Priming any areas that need it. 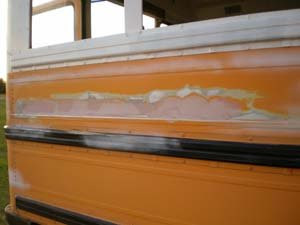 Sanding the entire front, side and rear of the bus. Thoroughly wiping the entire sanded area down with a clean rag soaked with thinner. 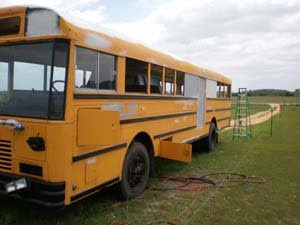 Here the bus prepped and ready for paint. 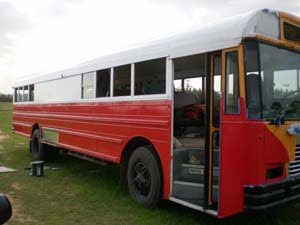 Now we are ready to start painting. We actually considered trying the sprayer today just to see if we notice much difference in the finish but it was way to windy. So we used the roller and a brush. 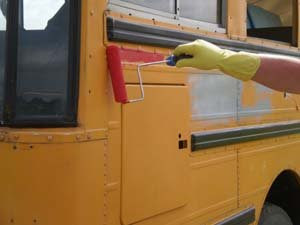 The one with the brush went ahead of the one with the roller and painted any cracks and areas the roller could not get to. 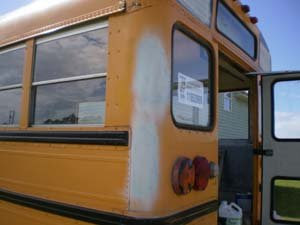 We were able to just get one coat of paint on the drivers side and the front and the back. 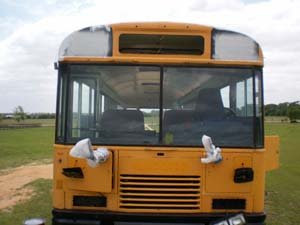 After were done with our first coat on the drivers side we went ahead and did a second coat on the passengers side. You may have noticed above that we also painted the grill. We used Rustoleum Metallic Finish spray paint. I have to say, I was skeptical how this would look but I was quite impressed with the finished product. 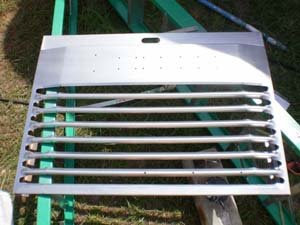 Here is the grill painted. 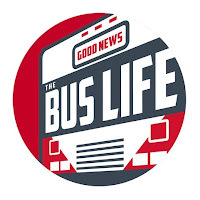 Here it is on the bus. Coming along very nice so far. 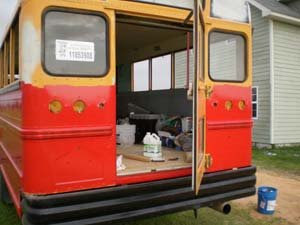 Can't wait to get the paint out of the way so we can do more on the inside.